Morgan Freeman turned his 124-acre ranch into a Bee Sanctuary, in a bid to help save the planet. Honeybees are responsible for up to 80% of the pollination in the world. It only takes one bee colony to pollinate approximately 300 million flowers each day. We would be on the verge of extinction without bees. Freeman first began beekeeping in 2014 after a mass bee die-off in the US. Since then, he has imported over 26 beehives to his Mississippi ranch. “There is a concerted effort for bringing bees back onto the planet… We do not realize that they are the foundation, I think, of the growth of the planet, the vegetation,” said Freeman. Natural habitats being destroyed, climate change and use of pesticides have all played major roles in the decrease of bees worldwide. What can we do to help? Don’t use bee-killing pesticides and plant echinacea, crocus, hyacinth, calendula, etc in our gardens. 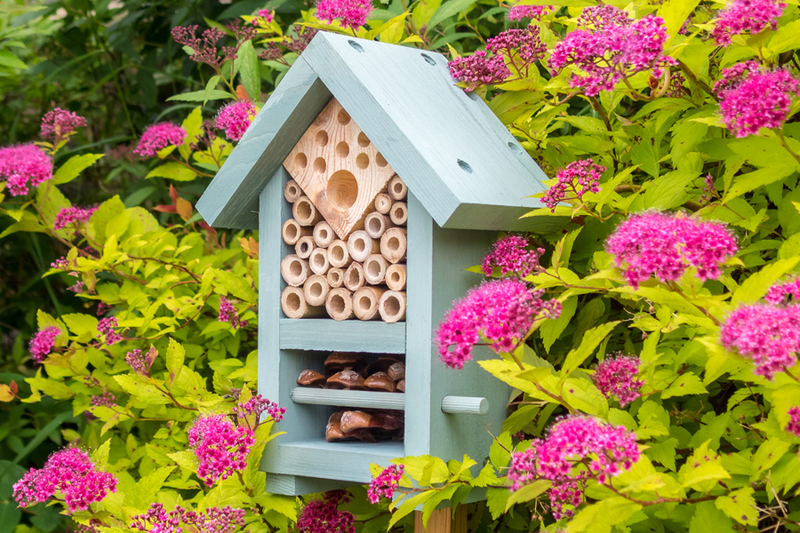 Bee and bug houses are also a great item to display in your garden. Share the post "Morgan Freeman turns Ranch into Bee Sanctuary to Help the Planet"
Previous article89-Year-Old Knits over 450 Jumpers and Blankets for Dog Shelter! Next articleLook at these dog items in Aldi this Thursday! Treat Pooch!